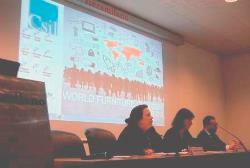 The World Furniture Outlook Seminar is a unique occasion to gather comments on the key facts regarding production, consumption and trade of the major industrial economies worldwide and to know CSIL forecasts. 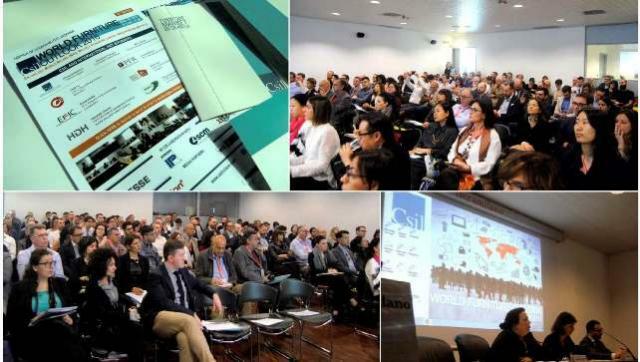 The 16th edition of the World Furniture Outlook Seminar organized by CSIL, Centre for Industrial Studies, took place on April 18th 2018, at the Congress Centre of Fiera Milano Rho, during the international furniture fair Salone del Mobile.Milano, with a large participation of over 100 professionals, journalists and representatives of institutions and trade associations of the woodworking and furniture industry. The annual World Furniture Outlook Seminar offers the occasion to share results of CSIL research activity with sector experts and look at future perspectives of the furniture industry and related sectors on a world scale.